I realized that there are a few of you who read my blog but are not on Facebook and I’ve had requests for baby bump photos. 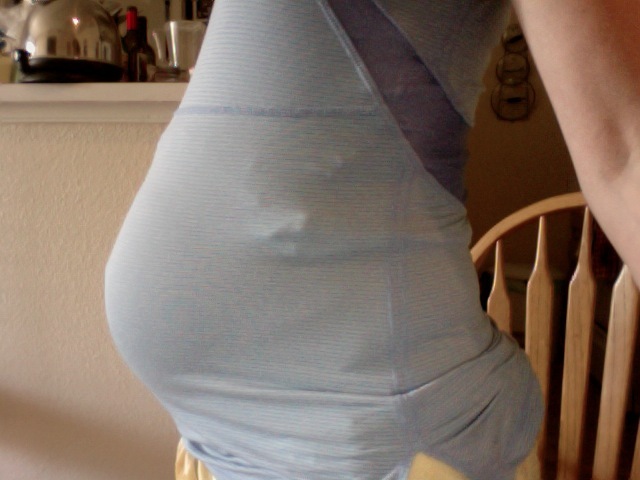 I haven’t gained a ton of weight… I don’t think I’ll gain a lot- we only have 8 weeks to go!!! It’s just all baby, this is my current photo at 31 weeks. I feel the baby move almost constantly these days, we have a very active little one! Our baby shower was over the weekend, it was a lot of fun and we really enjoyed getting to celebrate with family and friends even though a lot of people were unable to make it. Today is my last official day of summer break, then the weekend and back to work! I’m really excited to see my kiddos and to spend a few weeks with them… but I won’t be upset when it’s time to go on Maternity Leave 🙂 This summer went by too fast!!!! Next postStudents, and showers and gluten free festivals- oh my!!! !